No matter how we wish and hope our dogs and cats would live forever (or at least as long as we will live), it usually won’t happen. Their life span is much shorter, by comparison, than ours and for this we should be grateful. 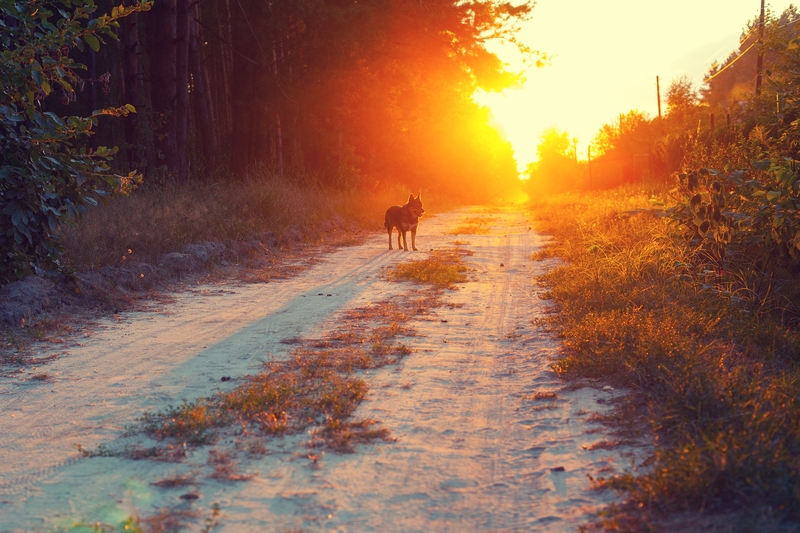 If you think about how much your pet would mourn your loss, you can be comforted by the fact that they will be soon off on their next great adventure. You will be better equipped to understand the separation. As humans, we have gone through some or many losses and so do not regard death as the most painful thing in life. We recognize the many cycles and seasons of life and treasure the many memories we have of loved ones who have transitioned from this plane of existence. Unlike people, our pets have a legal release of the pain and suffering of this life. They are spared the discomfort, confusion, humiliation and frustration of a decrepit older life. We need to know when to make the decision about the release of pain and suffering by euthanasia and how we want our beloved friends last days to end. One of the most devastating times in a pet parent’s life is that heartbreaking moment when their best tail-wagging pal or favorite feline friend is gone forever. Unfortunately, the end of a pet’s life doesn’t usually come naturally without some degree of suffering. Many veterinarians recommend euthanasia as the kindest way to ease a pet’s pain, there are other options for those of us who wish to spend as much time as possible with our pets, allowing them to pass away on their own in a peaceful and dignified way. Just like human palliative care, pet hospice care aims to make our cherished animal friends as comfortable as possible as they approach the end of their lives, as an alternative to euthanasia. Many veterinarians actually now offer palliative care programs, which involve the use of close monitoring, medications, special food and supportive care that allows our long-time companions to remain as pain-free as possible and surrounded by familiar family members at home during their last weeks or days. So what does hospice care involve for us as pet parents? Well, it’s definitely no easy ride, and it can be a full-time occupation. Owners who choose palliative pet care are learning how to perform tasks like giving fluids, changing bandages, administering medications for pain and nausea, assisting our pets to move around and go to the bathroom and keeping them groomed, comfortable, and in good hygiene. Owners also need to keep a close eye on their pets for any changes in their appetite, behavior, movement and toilet habits – the health status of a pet can change quickly, and veterinary intervention may be needed immediately if a pet is suffering. As nice as it might sound to be able to spend more time with Bailey or Fluffy, hospice care isn’t the perfect solution for all pet parents, though, or even for all pets. Those of us who are considering this type of end-of-life care for their furry friends need to know that a veterinarian who’s very experienced in providing hospice care for pets should closely oversee palliative care. This is especially important in pain management and hydration care. The intensive nursing that many chronically sick pets require is often exhausting for their owners. It is not only emotionally draining but can drain your bank account very quickly. The costs of having ongoing care is not covered by Medicare, as is Hospice for Humans. You will have to pay out of pocket, even if you have pet insurance. It’s also vital for owners to understand that pet hospice care isn’t a continuation of treatment for their pet’s condition. Instead Hospice is a way to ease the discomforts that their furry family members experience as they approach the end of their life on their own. It’s also not an ideal option for our companions who are in uncontrollable pain or who have a really poor quality of life – for these pets; euthanasia is usually the most humane decision. Please check out the report on how euthanasia is done by clicking on www.DeathofmyPet.com It is a very humane procedure and you can make it a spiritual, sacred event for you and your pet. If you feel that palliative care should be an option for your ailing pet, this is a good time to share concerns with your veterinarian. He or she is the best person to discuss your plans with; they can teach you how to assess your pet’s quality of life, provide information about whether palliative care is a good option for your pet and your family, and help you to recognize if your pet is declining and other avenues need to be considered to end their suffering. You will be so glad you did. If you decide Hospice Care is right for your pet, or you make the decision to offer “a good death” you will have support and resources to help you through this sad time. PS: Be sure and leave us a comment or tell us your love story with your pet. We care. Continued…Why Are Cat Shows So Popular?